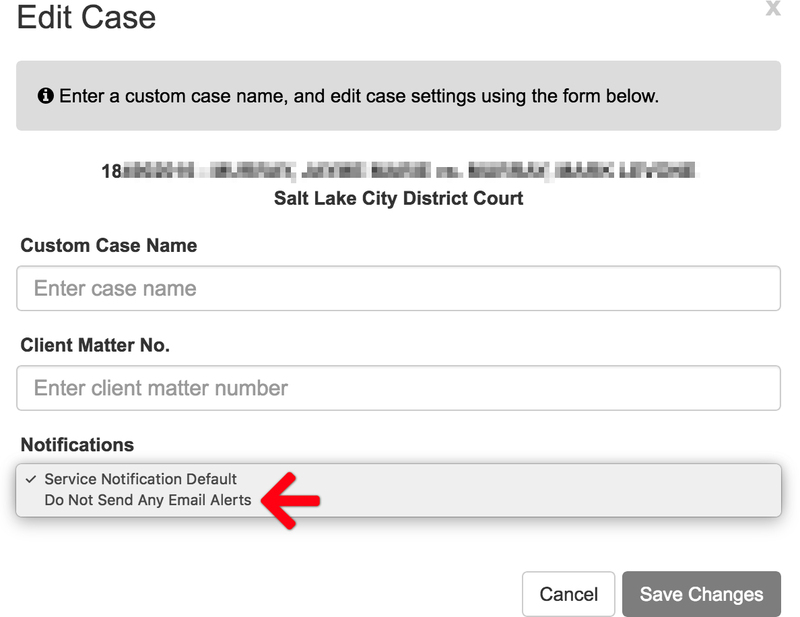 If you need to unsubscribe from notifications on a case, you have three ways to stop them. Notification emails now contain an unsubscribe link in the content of the email. To unsubscribe from notifications on that case, you can simply click the Click Here link contained in the email to unsubscribe. To delete a case from your account click on the case number to pull up the case view, then click the Delete link in the upper right. To set this option, click on the case number to pull up the case view, then click the Edit link in the upper right. An Edit Case popup form will display. On that form, set the Notifications option to Do Not Send Any Email Alerts.